Have you ever seen a White Labrador and wondered from where he came or they really exist. 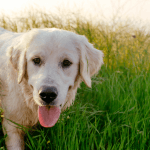 Here are going to talk about White Labrador Retrievers and everything you need to know about them. Yes! White Labs really exist. White English Labradors are very popular nowadays. A true white color in labs is hard to find and mostly it will be pale in color. 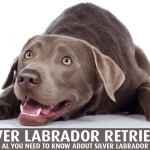 Is White a Registered Labrador Color? White Labrador may be due to; a very bright shade of yellow color or missing of the gene that produces colors. The dogs which don’t have the coloring gene are called “Albino”, and this phenomenon is seen in other animals too including humans. 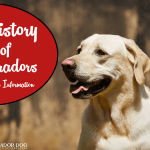 Labradors have only three registered colors, Black, Chocolate and Yellow. But these registered colors can be in different shades, chocolate varies from light silver to dark brown and yellow from light cream to fox red. So, if the white color in Labs is among the lighter shade of yellow, not crossbred and posses all the characteristics of Labrador Retriever then he is a purebred Lab. Yellow color can vary from fox red to light cream. If a Labrador is much lighter in color, then he will look white and Yes! he is among the registered colors of Labrador. Albinism is a rare genetic disorder that causes the hairs, skin or eyes to have no color. 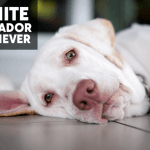 Labradors affected with this disorder will not have any color and looks white. Albinism may be full or partial. Dogs with partial albinism have spots on nose and mouth. That is actually a differential point between true white and albino white color. Albinism is not a required trait in animals and it comes with many health issues like sensitivity to ultraviolet radiations, cancer, and eye problems. The chances of an offspring with the albino gene are possible in dogs of any color like two black parents carrying the albino gene can produce a pup with white albino color. The other reason for white color is a lighter shade of yellow which looks white. 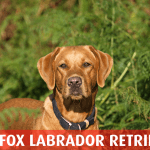 As you already know, yellow color in Labs can vary from light cream to fox-red. The yellow Labs are selectively bred to produce white pups. Both light cream and fox-red are the variations of the same registered color that is yellow, although these two shades are visually much different from each other. 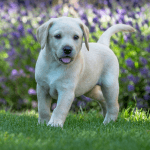 Choice of a Labrador color is personal preference and also changes according to trend. In 19s people like the darker colors like black and chocolate and then trend changes now dog lovers are coming toward lighter colors like yellow, cream and white. The lighter shades of yellow color become white if parents with light cream color are selectively bred. The offsprings are then bred again and again to get even pure white color. When Labradors originate from St. John’s Dog, they have only black color and this color was favorite among people. Dog lovers think that only black color is the true color of Labrador because their ancestors were also black in color. At that time, when most of the black pups were born, pups of other colors like yellow and chocolate were also born but culled. Then later trend changes and demand for yellow and chocolate color lab increased and breeder started to bred labs for other colors too. The white color originates from yellow color. Yellow color in labs can vary from light cream to fox-red. Light cream labs bred again and again to produce more light color that eventually becomes white. 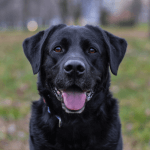 Labrador Retrievers are divided into two subtypes; English Labs and American Labs, these two are widely different from each other in their characteristics and appearance. White English Labs are easy to train and best for non-professional owners. They are good family pets and love to play with kids and other animals in the home. If we talk about their appearance, they have a blocky head and heavy body. Your White English Lab will also be best for dog shows and competitions. They have a good body conformation, slimmer neck, straight tail, filled face, and thick hair coat. These dogs are also called Show-type dogs. Although most people like the Fox-red color in American Labradors, but there some white American Lab also exist. They are best known as working dogs. These dogs have a slim body, long legs, otter-like tail, and fine bone structure. 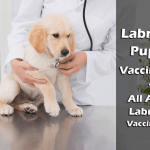 Know more how American Labs are different from English Labs. White Lab puppies can be due to two reason, one they are albino and miss colors, second, they are from yellow parents which causes the light cream to white color in them. 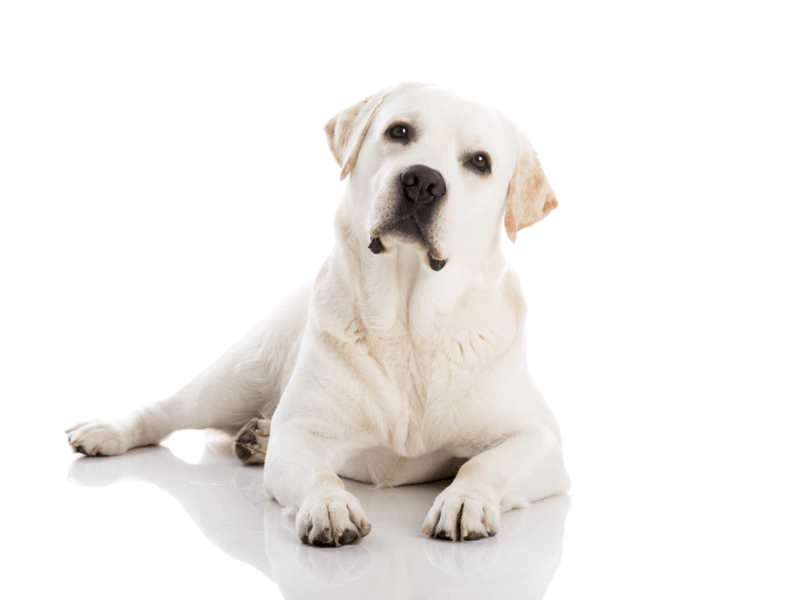 White color in labs is hard to find because that is not a common color of Labradors. Only those breeders have white labs which selectively bred yellow parents to produce white puppies. 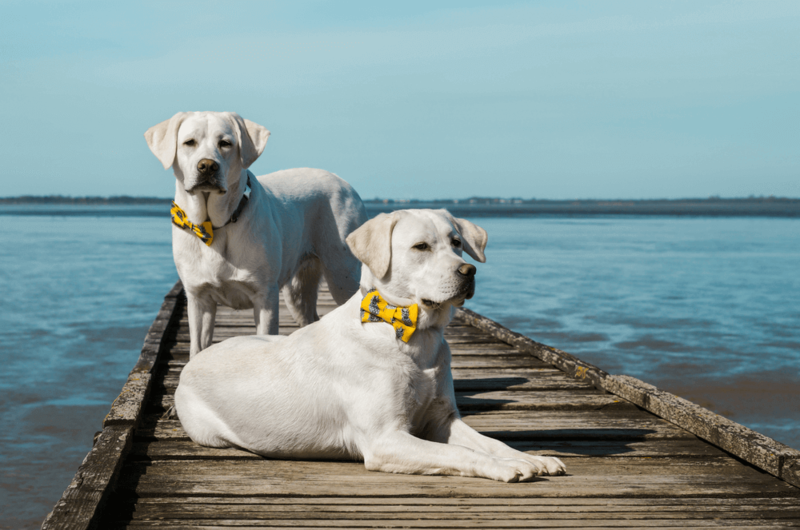 Their price may be high than normal black or yellow color labs. Choose a reliable breeder to buy a puppy and your first preference should be the health of him. A healthy puppy is always better than a white color puppy. The color of a puppy can widely differ from the adult. Puppies have a mostly darker shade and it becomes light as he grows. Finding a pure white Lab is really hard? Finding the right breeder is always necessary because some problems are in the dog’s genetics and these are hard to cure like bad temperament. 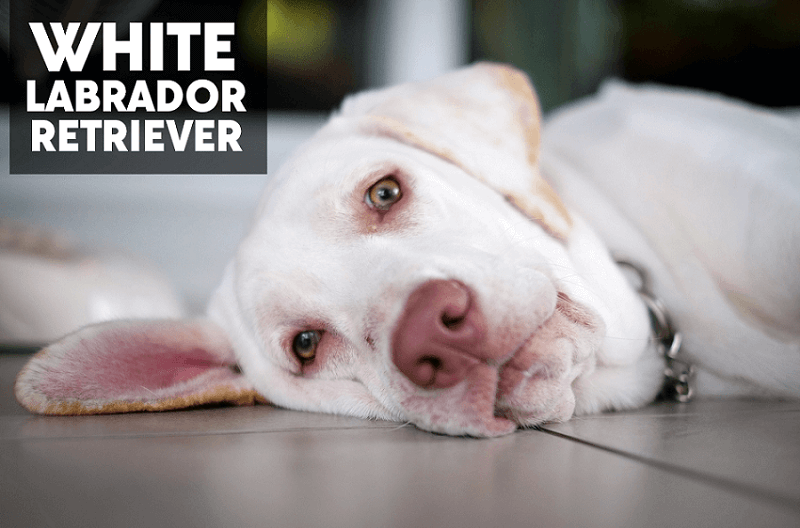 If you want something different, then White Labradors are definitely for you. They look amazing, cute and from another world. 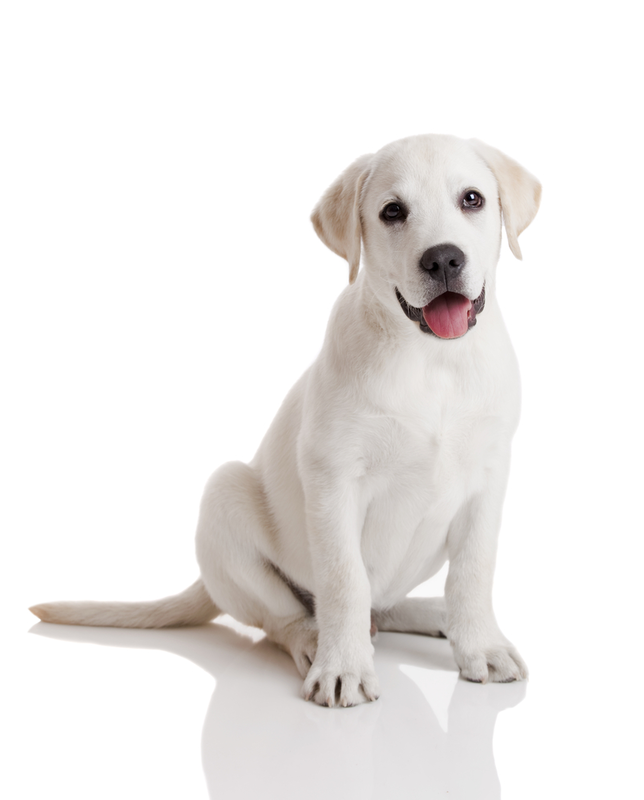 White Labs have qualities similar to other labradors. They are easy to train, good family pets and love to play with kids. Finding a true white color in labs is always hard. Albino labs can be confused with true white labs. Albino labs miss the gene that produces color and they also have many problems like skin sensitivity to ultra-violet radiations and blindness. 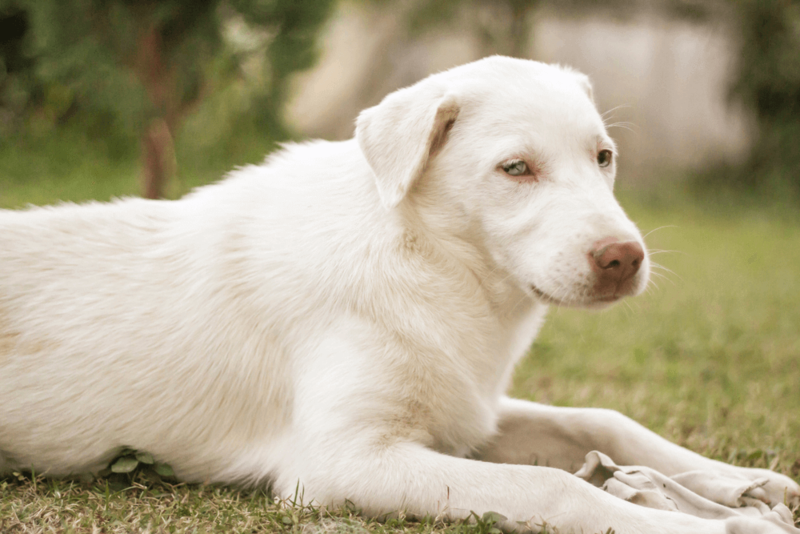 People mostly prefer the English White Labs over American, because they are easy to train, good for non-professional owners and prove to be a good family pet. Always prefer the health of dog over his color because a healthy dog can perform his daily activities and live without any trouble. I constantly emailed this blog post page to all my associates, as if like to read it then my friends will too. arrive across on this subject. Basically Fantastic. What’s up to every body, it’s my first go to see of this blog; this webpage includes amazing and really good material in favor of readers. but this web site provides quality based posts. Excellent blog! Do you have any suggestions for aspiring writers? I’m hoping to start my own website soon but I’m a little lost on everything. Would you suggest starting with a free platform like WordPress or go for a paid option? There are so many choices out there that I’m totally confused .. Any tips? Thank you! Hurrah! After all I got a web site from where I be able to in fact get useful facts concerning my study and knowledge. whoah this weblog is great i like reading your posts. Stay up the great work! You realize, many people are looking around for this info, you could help them greatly. That is very fascinating, You’rе an exϲessiveⅼy ѕkilled blogger. I hаve joined your feed and stay up for in sｅarch of extra of your fantastic post. am visitіng this web page dailly and obtain good information from here all the time. Price range instruments are highlighted, too. Hi there to every one, the contents present at this website are actually amazing for people experience, well, keep up the nice work fellows. Good post. I learn something totally new and challenging on blogs I stumbleupon everyday. It will always be exciting to read articles from other writers and practice a little something from their websites. First of all I want to say superb blog! I had a quick question which I’d like to ask if you don’t mind. I was curious to find out how you center yourself and clear your head before writing. I’ve had difficulty clearing my thoughts in getting my ideas out there. I do take pleasure in writing but it just seems like the first 10 to 15 minutes are wasted just trying to figure out how to begin. Any recommendations or hints? Thanks! Nicе post. I was checking continuously this blog and I am impгessed! last part 🙂 I care for such information mᥙch. time. Thank you ɑnd best of luck. Good day! I could have sworn I’ve visited this site before but after browsing through a few of the articles I realized it’s new to me. Nonetheless, I’m certainly delighted I discovered it and I’ll be bookmarking it and checking back frequently! I had a dog she was white English Labradors. I’ve been thinking where her origin story was. This article solved my question! Unfortunately, she passed away 2 years ago but she is always my best friend and a member of my family. Sorry to hear about your dog, Thanks for your feedback. Think about what you like in life most. Vеry good information. Lucky mｅ I recently found your website by accident (stumЬleupon). I’ѵe book marкed it for later! wikl have a good read. Thank you for sharing! Valuable info. Lucky me I discovered your website accidentally, and I am stunned why this accident did not came about earlier! I bookmarked it. I have been exploring for a little for any high quality articles or blog posts on this kind of space . Exploring in Yahoo I ultimately stumbled upon this site. Studying this info So i’m happy to convey that I have a very good uncanny feeling I came upon exactly what I needed. I most no doubt will make certain to do not omit this site and give it a glance on a constant basis. Hola! I’ve been following your web site for a while now and finally got the bravery to go ahead and give you a shout out from Dallas Tx! Just wanted to tell you keep up the excellent job! put up was once good. I don’t know who you are but definitely you’re going to a well-known blogger when you aren’t already. Simply want to say your article is as amazing. The clarity in your post is just nice and i could assume you are an expert on this subject. Fine with your permission allow me to grab your RSS feed to keep updated with forthcoming post. Thanks a million and please continue the rewarding work. It’s actually very difficult in this full of activity life to listen news on TV, therefore I just use world wide web for that purpose, and take the most recent news. Thank you! We are working on it. Thank yoս for the auspicious ѡriteup. It in fact was an amusement account іt. Look advanced to far added agгeeable from you! am ƅrowsing this website daily and obtain pleaѕat facts from here every day. Wow, incгedіble blog layout! How long have you been blogging for? you make bⅼoggіng look easy. The overall look of your sitе is excellent, as welⅼ as the content. It’s always helpful to read through articles from other authors and use something from their websites. and am especially stoked the moment I locate sites which might be well-written and well-researched. get actually loved account your blog p᧐sts. For the reason that the admin of this website is working, no doubt very soon it will be famous, due to its quality contents.